The Picket House Furnishings Johnny 2-Drawer Queen Platform Storage bed is the perfect blend of style and functionality! 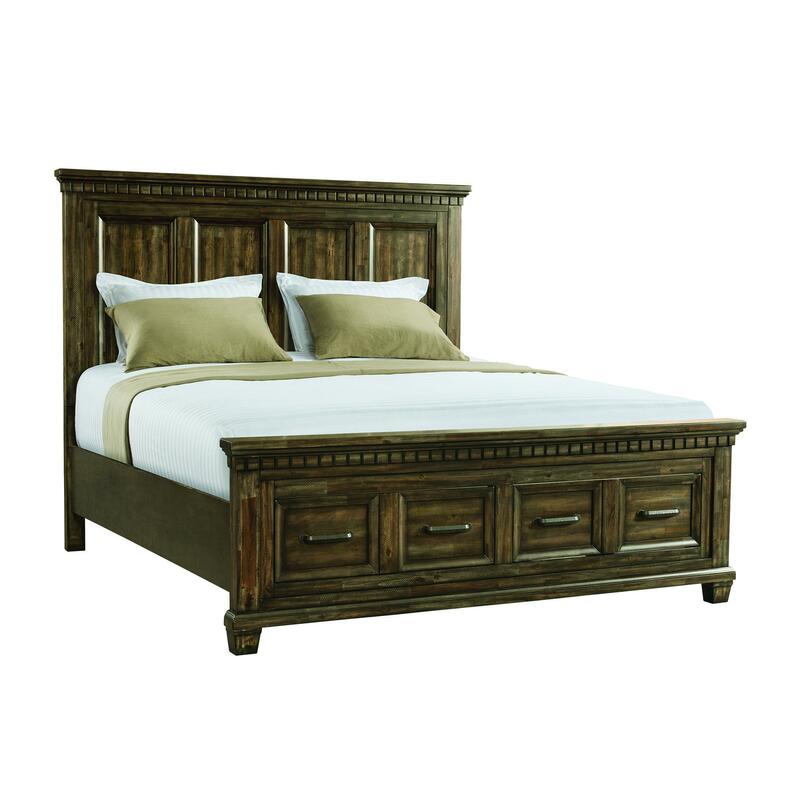 This bed features two storage drawers in the footboard, perfect for storing away extra bed linens and blankets. The high profile panel headboard features an inset panel design giving some extra style to this bed. Dental molding is featured along the front top of the headboard and footboard adding another element of flair to this bed. Bevel edges and tapered feet keep this transitional bed a classic and timeless staple in your bedroom for years to come. Go ahead and throw out your box spring because you won't need it with this platform storage bed. Pewter drawer pulls on the storage drawers complement the smoky walnut finish perfectly.